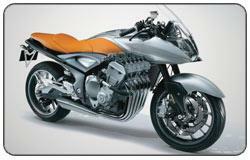 We’ve all drooled over Honda’s CB1100R concept bike, willing Honda to bring it to the UK. 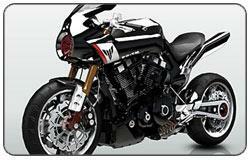 On the other hand there was Suzuki’s B-King and Yamaha’s MT-01 that did hit the showroom floors. But what about the others? 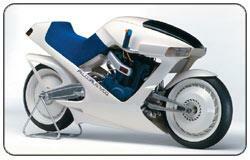 Over the last 25 years there have been dozens of show specials or concept bikes that the leading manufacturers have teased us with, never to go into production. Here’s our 10 of the best – which do you think should have been made? Hard to believe it’s over 20-years-old. 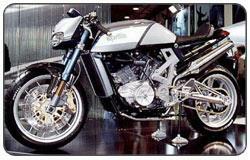 When unveiled at the 1986 Tokyo Motor Show, Suzuki’s Nuda was a huge leap forward in motorcycle design and engineering. Underneath the swoopy modern clothing was a conventional Suzuki GSX-R750 motor which transferred power to both front and rear wheels via a shaft drive and single slided swingarm. 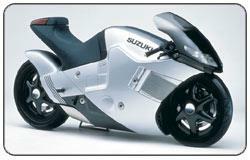 Fanciful of not, Suzuki claimed the bike was fully operational. 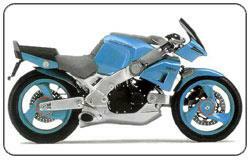 Unveiled at the 2001 Milan Show, the Blue Marlin was based on the SL1000 Falco and designed in conjunction with French company Boxer Design to provide, and I quote, “a rawer sportsbike experience”. 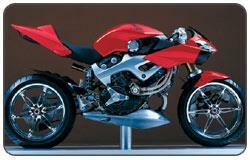 Striking yet simple, its spec included Ohlins suspension and Brembo brakes. Sadly, despite a universally enthusiastic response, it never made it into production. 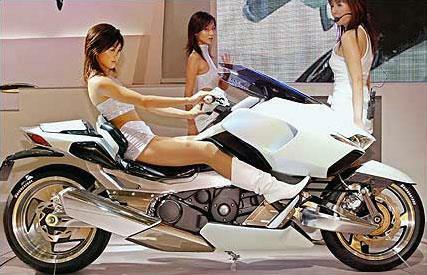 First unveiled at the 2003 Tokyo Motor Show, the G-Strider was a half-scooter, half-cruiser hybrid with automatic CVT transmission which you could also change manually (electrically) if you want to, by push button, similar to the Burgman 650. 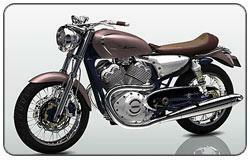 Seat, footpegs, windshield and the back rest are all adjustable while, curiously, the engine was a 916cc parallel twin. Is it a bird? Is it a plane? Is it even a motorcycle? 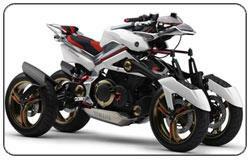 No, it’s the Yamaha Tesseract, a wacky concept quad-bike which was unveiled at the 2007 Tokyo Motor Show. Two features stood out: a hybrid combined V-twin motor and electric powertrain and what Yamaha called a ‘dual scythe’ suspension system which allegedly allowed it to lean like a regular two-wheeled bike.